The Toyota Corolla is the best-selling car the Japanese automaker offers here in the U.S., so when it gets a redesign, it's a big deal. Toyota just revealed info and photos about its newest version of its compact sedan, and it will no doubt continue to be a huge volume car while improving on the last generation. There are several trim levels for 2014. 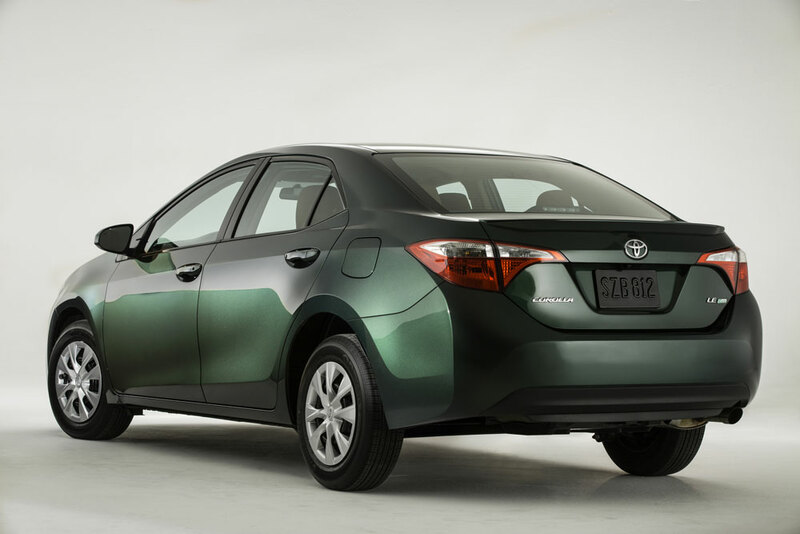 For starters, the 2014 Corolla Eco will offer a 1.8-liter engine making 140 horsepower and 126 ft./lbs. 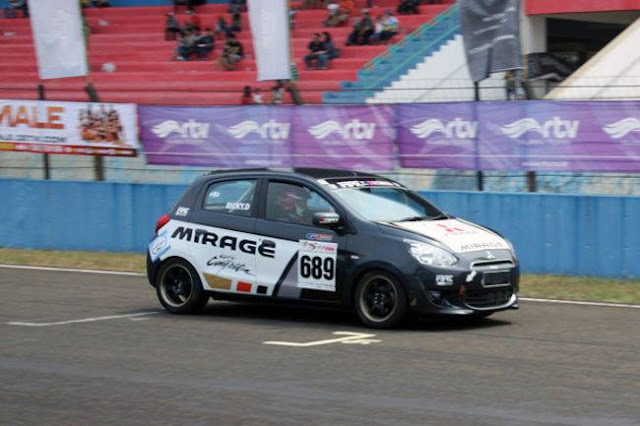 of torque with Valvematic technology; improved aerodynamics; and low rolling resistance tires. These models will get an estimated highway fuel economy rating of over 40 mpg and will have a continuously variable transmission (CVT). 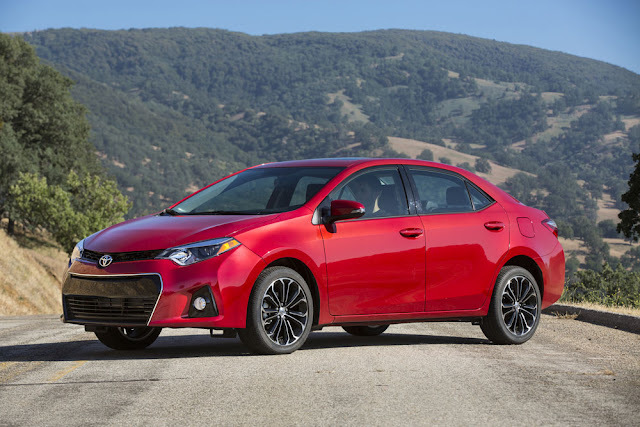 Corolla L, LE, and S grade models are all powered by a 1.8-liter, four-cylinder engine with intelligent Variable Valve Timing (VVT-i) that produces 132 horsepower and 128 ft./lbs. of torque. These will also be available with the CVT; L and S models will be available with a six-speed manual transmission, thankfully. So what about the exterior? As you can see, it's totally different. Toyota says the exterior design employs the “Iconic Dynamism” theme shown in the Corolla Furia concept shown at the 2013 North American International Auto Show. Toyota is hoping to attract more youthful buyers with this new design, too. It will also become the first compact car to offer LED low-beam headlights from the factory. Additionally, the car will come with wheels ranging from 15"–17". 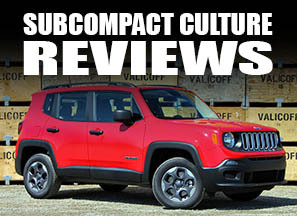 Size wise, this compact has a 106.3-inch wheelbase and a total length of 182.6 inches (183.1 for the sportier S model). This is nearly a four-inch gain from the previous generation, meaning the Corolla, like so many other compact cars, is growing. The new Corolla's redesign isn't going to turn the compact sedan marking on its ear, for certain. And while I'd say the exterior styling is unoffensive, it isn't ground breaking. In fact, certain parts of the car remind me of the latest crop of Hyundai models. I think it's the lower grille that does it. However, I do like the new, more aggressive front fascia, especially on the S model. Inside, some of the available equipment includes touchscreen audio, apps accessible through the audio head unit, smart key/ push-button start, power moonroof, back-up monitor, SofTex seats, and available Paddle shifters (CVT). The current Corolla (and many past generations) have a reputation for being extremely reliable and economical vehicles. However, they are also viewed by many to simply be basic transportation and much less exciting than many of its compact competitors. 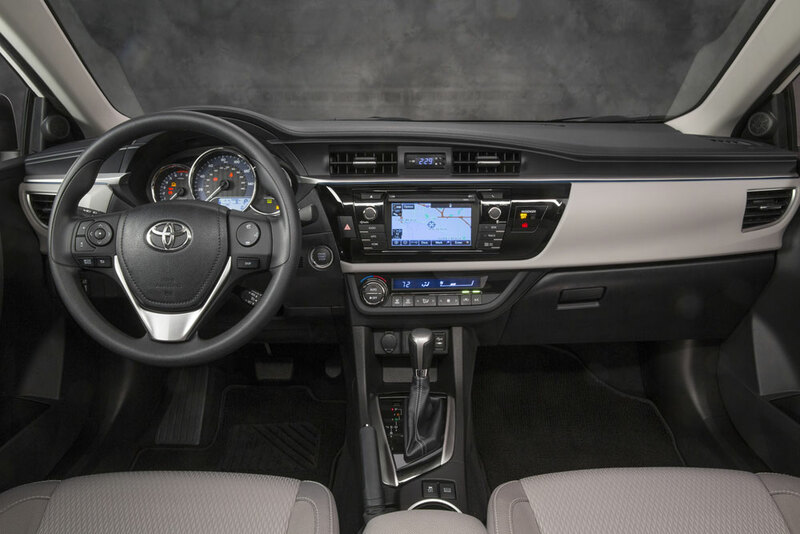 We look forward to driving a new Corolla, and seeing if its driving dynamics are as good as the sales will likely be. The S looks good; that green LE looks so 2001, though. Something for everyone, then! Any hint what the Matrix next-gen/replacement will look like?